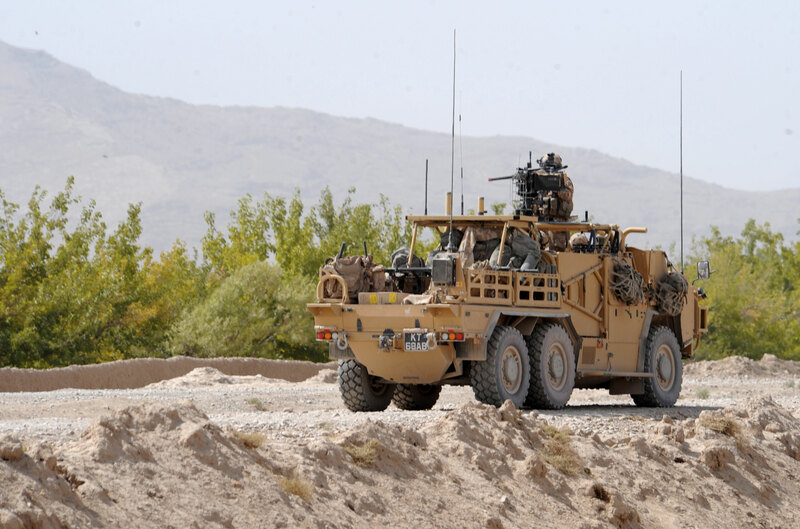 RAF Regiment troops patrol in a Coyote TSV (light) around Kandahar Air Field, Kandahar province, Afghanistan, August 2010. The Coyote Tactical Support Vehicle is a 6x6 variant of the MWMIK Jackal. The Coyote is designed to act as a support vehicle for the Jackal and features an increased capacity for carrying supplies.